Encroachment and erection of illegal structures close to the road reserve continues. SANRAL has partnered with local municipalities and consulted local traditional authorities to address this, but the problem persists. At the start of the project, SANRAL embarked on a roadshow to educate stakeholders on statutory control issues and the allocation of tribal land to communities, but it’s an uphill battle. Mostly, the culprits are individuals who erect informal businesses close to the road reserve and start trading. Not only is this illegal, it’s a safety hazard. Consumers flocking to the area run the risk of being hit by fast-moving cars when crossing the road. 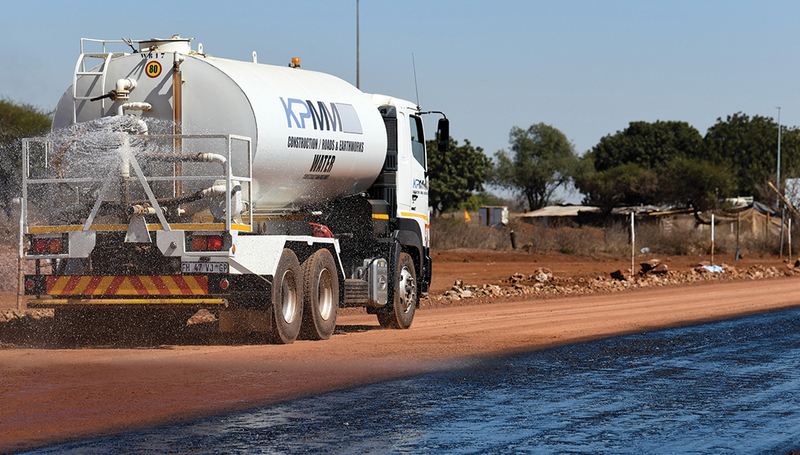 SANRAL is committed to community development and supporting local business. However, it cannot risk the lives of others and be at the mercy of illegal hawkers. SANRAL appeals to communities and stakeholders for their cooperation, in particular those encroaching on the road reserve and ignoring building restrictions. Community members are requested to follow proper procedures in acquiring land. Local communities are asked to respect beacons placed by surveyors that indicate the national road reserve. Headmen/chiefs must not allocate stands inside the road reserve.